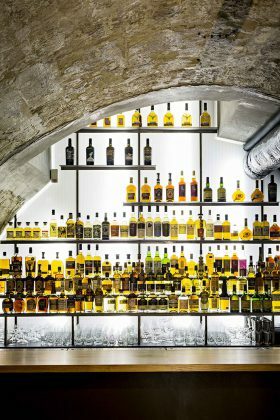 The Golden Promise is not a new cocktail bar, but the very first Parisian bar to offer a unique whiskey tasting, for both the most experienced experts and novices eager to discover. A tasteful trip to the four corners of the world, in countries known for their know-how, traditions and exceptional distilleries such as Scotland, the United States, Ireland or, more original, India and Taiwan . The Golden Promise brings together a unique collection of whiskeys built over time thanks to the expertise of La Maison du Whisky, which is located in the superb cellar of the Maison du Saké. And its sleek and elegant decoration is signed by the japan architects jmbn agency.